A board certified plastic surgeon, Dr. Lawrence H. Iteld makes up half of the highly regarded team at the Geldner Center in downtown Chicago. 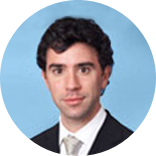 Dr. Iteld has been a practicing surgeon since 2005, and has made a name for himself as an acclaimed expert in the field. After receiving a Bachelor of Arts in biological science and economics from Rutgers College, Dr. Iteld went on to receive his MD from the University of Michigan Medical School. He continued his education at the University of Chicago Hospitals, completing a general residency and a plastic and reconstructive surgery residency. Later he completed a fellowship at University of Texas MD Anderson Cancer Center, where he focused on microsurgery and oncologic reconstruction. After returning to Chicago in 2007, Dr. Iteld joined the team at the Geldner Center, where he tirelessly serves every patient's needs with the help of cutting-edge techniques and his unwavering attention to detail. Some of his most requested cosmetic procedures in Chicago include breast augmentation and reconstruction, body sculpting, rhinoplasty and facelifts. Dr. Iteld is not only recognized for his exceptional client services, but also for his extensive knowledge and skill level. He has been featured in the Chicago Tribune and on WGN-TV, and he was named one of Castle Conelly's Top Surgeons in America in 2009. As a member of the American Society of Plastic Surgery and various other assiociations, Dr. Iteld makes it a priority to stay up-to-date on the latest treatments in the plastic surgery industry. For exceptional aesthetic surgery procedures like breast implants, tummy tucks and facelifts in Chicago, Dr. Iteld is a reliable source for natural, beautiful results. His office at the Geldner Center on Lakeshore Drive offers free consultations, where patients can meet one-on-one with the doctor to discuss their desired procedures and aesthetic goals. To learn more about Dr. Iteld, or to set up a consultation, contact us via the number on this page or the contact form provided. The staff at the Geldner Center is highly skilled and dedicated. They accompany each patient through the surgical process, making sure that all their needs are satisfied. The staff will gladly set up hotel accommodations, overnight nursing and post-operative transportation for patients who require these services. Dr. Lawrence H. Iteld offers Complimentary Consultations. Consultations last between 30 and 45 minutes. Guests will meet with the patient coordinator to review their aesthetic goals and receive necessary information about their surgery. They will meet with the doctor to further discuss treatments. Computer imaging is provided for those who want to see how they will look after surgery. Guests will also go over scheduling and pricing. Knowledge of techniques for reconstruction after cancer surgery and traumatic injury.